Cairo’s Sewer Moratorium has been lifted/removed as of November 13, 2013! Cairo was home to some of the first Ski Slopes in Greene County, pre-dating the mountain runs of Hunter & Windham. Rope tows provided skiers with a ride to the highest points, and the downhill trails were significantly less challenging than those today. These somewhat humble facilities were set up to provide outdoor activities that would draw guests to Boarding Houses in winter months. 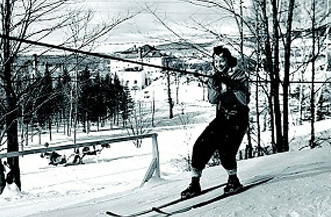 Their popularity validated and inspired the development of the modern Ski Resorts in the Great Northern Catskill Mountains.